Switzerland remains an educational hotspot for many foreign students from around the globe. According to recent statistics about one in four students studying at Swiss higher education institutions are foreigners. The Federal Statistics Office said in an official statement that foreign nationals accounted for almost a third of all university places during the 2015-2016 academic year. The figures released by the statistics office show that the number of foreign students outnumbered locals at the highest level comprising 54% of all PhD students. The Federal Statistics Office report revealed that for professional education programmes 24% of students were foreigners. The report also stated that more than 59,000 foreign students were registered with a Swiss institute of tertiary level education and that three out of four students came especially to Switzerland to study. Switzerland’s Institute of Technology and other four research institutes have been receiving record high enrolment applications. 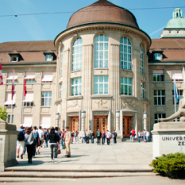 The educational board that oversees the Swiss Federal Institute of Technology in Zurich said that enrolment figures rose to 28,537 students in 2014 up to 1.8% from 28,046 in 2013. The continued growth indicates that Switzerland educational institutes are doing remarkably well. Statistics also show that the increase in the number of foreign students has little to do with immigration of foreign nationals. Meanwhile the Swiss government has been strengthening its agreement with the EU to continue its temporary student exchange programmes. An official statement released by the education ministry said that it would allow Swiss students, apprentices and education professionals at all educational levels to continue to benefit from the EU programme for Education Training, Youth and Sport until the end of 2017. The Swiss government reiterated its interest to continue seeking a long-term deal with the EU on future Swiss participation in educational exchange and cooperation projects. With Swiss universities ranking highly on the top 20 on the world scale one can only assume that this would attract more foreign students. Recent reports show that Switzerland’s two federal technology institutes still rank among the top 20 in the world according to the QS World University Rankings for 2016.